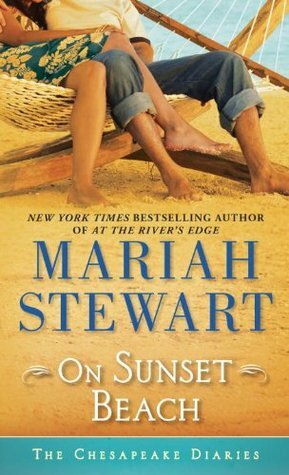 From New York Times bestselling author Mariah Stewart comes a captivating and heartwarming new novel in her beloved Chesapeake Diaries contemporary romance series—perfect for fans of Barbara Freethy, Robyn Carr, and Susan Mallery. This book takes you back to St. Dennis. Finale Ford Sinclair, the youngest son comes homes and he is not talking as much as his mother would like, but she is happy he is back home. The other new person to the story is Carly Summit, an art gallery owner in New York and some other ones around the globe. Is now looking at opening a gallery in St. Dennis, for a local 20th century artist that she is wanting to show the art world. Both of these young people have issues that they are trying to overcome but they are attracted to each other. For Ford who is cynical over the violence and suffering that he had seen in Africa. She turns out to be the only person that he opens up to. I liked this book very much because it seemed more focused to the town and to the main charters. Also got to find out back story to the Dennis family which was nice. There were some funny parts and parts where they are going out in the river kayaking which I don’t remember in the other stories. A good story all around. I got this book from net galley.